The key to this hole is the second shot especially if the wind is against. 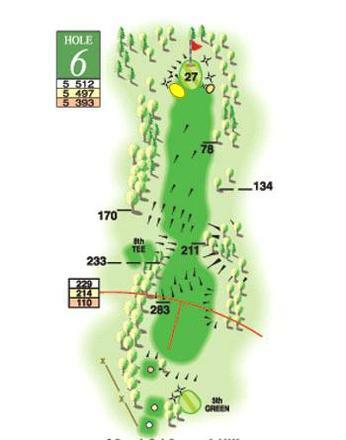 The fairway is reduced to a very narrow plateau with a steep slope to the left and heavy rough on the bank to the right. Once safely past these dangers there is a straightforward run uphill to the slightly domed green.